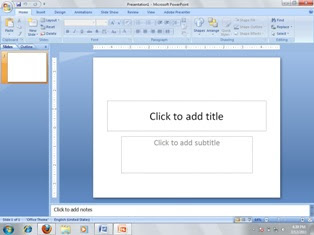 Decide where you want to place the picture in your presentation. After positioning your picture and editing the picture you can add additional text boxes if you need additional text on the slide. Click INSERT menu, select PICTURE to open a browser window for picture selection. 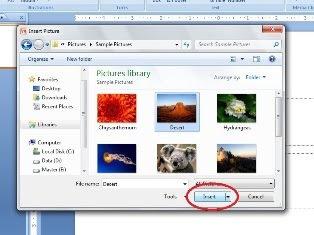 After you have selected your picture click INSERT. 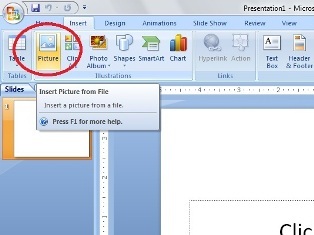 If you use Microsoft Powerpoint 2007, the Picture Toolbar will not be visible. But you can format the picture by FORMAT (picture tool) on menu bar. 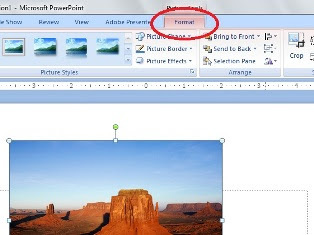 On picture tool, you can format the picture by selecting FORMAT. You can resize, crop, set transparency the picture etc. 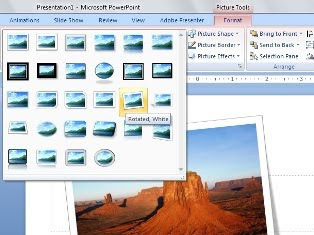 On Microsoft Powerpoint 2007, you can also choose an overall visual style for the picture. So, the picture can make your presentation higher level and more professional.